Hello, I just did an upgrade from my old 3.0-806 to 3.5-1575 and I'm now having an issue setting up my config as before. L - "Button 4!Button 6": If Button 6 is not pressed and Button 4 is pressed, trigger L button. 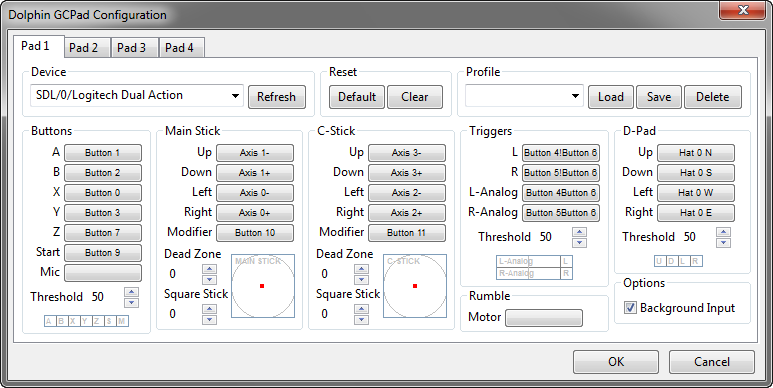 L - "`Button 4`!`Button 6`"
L-Analog - "`Button 4` & `Button 6`"
I know the L-Analog part works because if L is not defined, i can press both Button 4 and Button 6 and have only L-Analog trigger, not the L Button. However in 3.5, The L button will trigger regardless if Button 6 is pressed or not. I liked the part where it worked, except there was no such part. Show pics of your GC pad config please. You seem to be doing some custom stuff with buttons, so make sure you have pics of that too. The images with "Triggers:" contain the copy pasted information obtained via a right click on the input. Also, I didn't "decide" to put lack of spaces between 'Button X'! 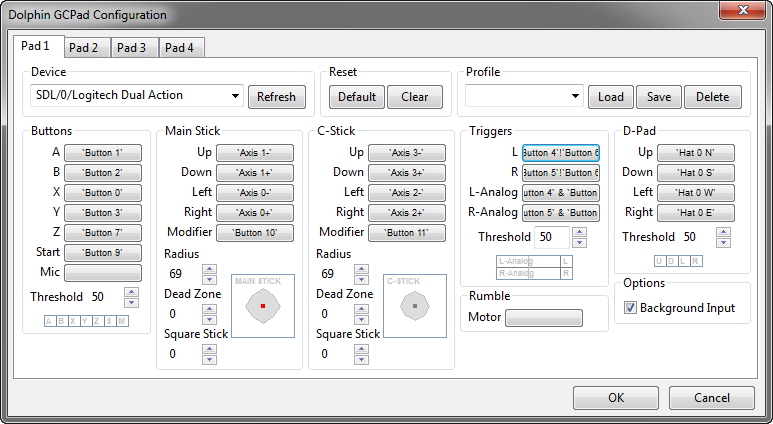 'Button 6' When i used the configuration tool, it didn't put spaces between the two and I left it that way. Just tested it with spaces, still doesn't work as intended. Tried it out. Doesn't seem to work anymore. Tried it in 3.5-1064 and it worked, so it definitely seems like it was due to the recent input modifications. HOLY ... Jeez thank you. Now I remember why i needed this, to run and spray water in Super Mario Sunshine. It represents the "Half Press" button from old nJoy.